New study suggests that future volcanism will likely increase stresses on ecosystems and society by causing a more fluctuating climate with more extremes. An international team led by Ingo Bethke from Uni Research, and the Bjerknes Centre for Climate Research, is behind a new study published in Nature Climate Change 2 October. “By excluding volcanoes, existing projections of future climate miss out on how much the global climate may vary from year to year or decade to decade”, says Bethke. Bethke and his team have used records of past volcanic eruptions obtained from ice cores to insert a range of plausible volcanic events into future climate model projections. 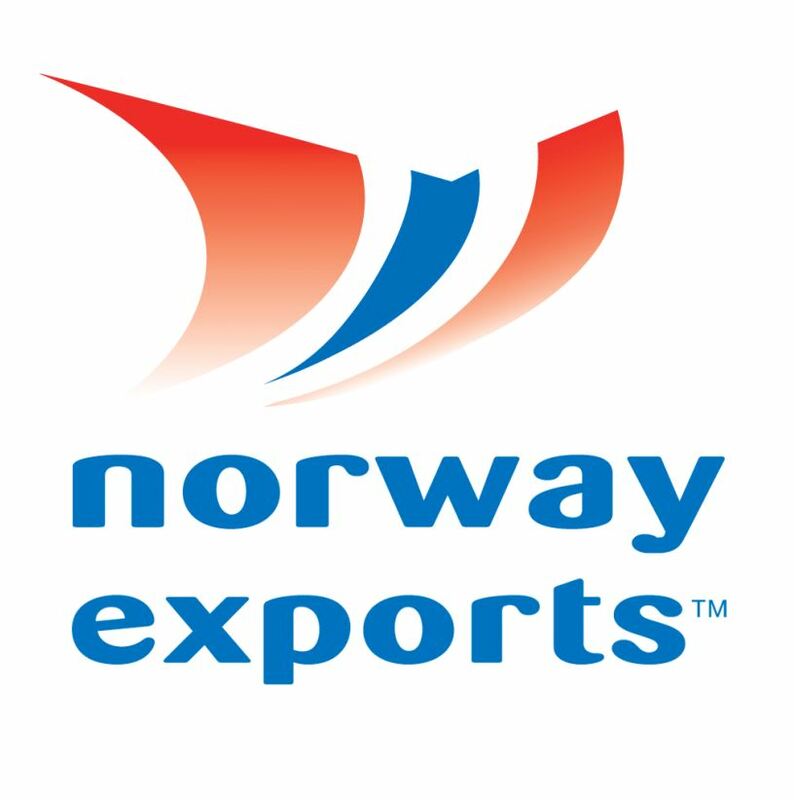 This allows the Norwegian Earth System model to account for the various possible impacts of volcanic eruptions on future climate. The results show a potentially more variable climate than suggested by the latest assessments. In Bali, 75 000 people were evacuated last week, for fears of an eruption from the volcano Mount Agung. Even a few days ahead, it is not possible to predict a volcanic eruption, but repeated tremors and gas coming out of the crater indicates that an eruption may occur soon. Mount Agung is one of 120 active volcanoes in Indonesia, and throughout history, eruptions in this region have affected the world’s climate. Explosive volcanic activity acts to cool the surface of the Earth, sometimes for several years and has impacts on other aspects such as rainfall. The devastating eruption of the volcano Tambora in Indonesia in 1815 cast a veil of aerosols over the Earth. A weather-wise extreme year followed, with frost destroying crops in Europe and North America. The year 1816 has been termed ‘the year without summer’. After the last eruption of Mount Agung, in 1963, the global temperature dropped between 0.1 and 0.4 degrees, according to James Hansen in Science 1978. See also the Guardian. Presently, climate impact and risk assessments were based on climate model simulations that did not include realistic volcanic influences in the 21st Century and hence did not cover the range of possible future outcomes. 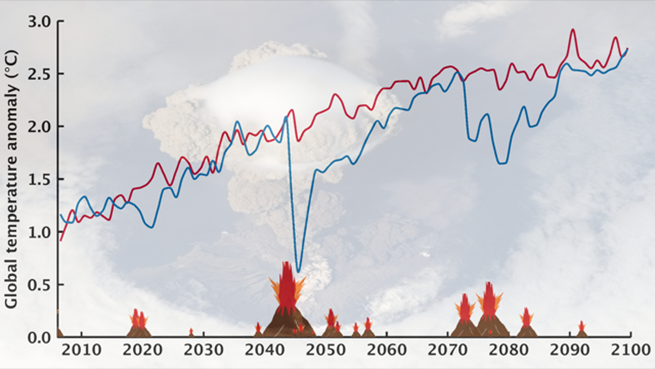 To exclude eruptions from such simulations has been a natural choice because eruptions cannot be predicted in advance and there have been only a few such events in recent decades. A 2,500 year-long ice core record of volcanic activity1, sheds new light on potential future volcanism. Sulphuric acid layers in ice cores prove that several centuries were volcanically much more active than the recent one, calling into question the decision of modelling groups to omit plausible eruptions in future climate simulations. Meanwhile, increasing computer power has enabled scientists to run larger numbers (so-called super-ensembles) of climate simulations, with each simulation representing a possible climate future. These can be used to better explore climate variability and changes in climate extremes. Combining knowledge about past volcanism with running sixty possible volcanic-future simulations, Bethke and colleagues demonstrate that including plausible volcanic activity is both possible and important in future assessments. A future with higher volcanic activity than in the recent past, would cause a more fluctuating climate. This would increase the stress on ecosystems and society. “If we are to be climate resilient, it is important to account for potential volcanic activities in our planning”, says Bethkes co-author Peter Thorne, from the Irish Climate Analysis and Research Units at Maynooth University. Thorne stresses that such short-term volcanic cooling will not mitigate long-term human-induced climate changes.